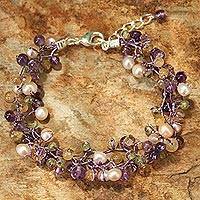 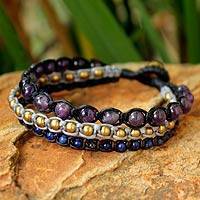 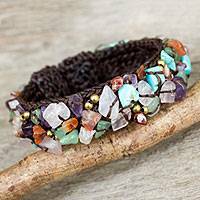 Turn heads wearing one of the hundreds of jewelry options offered in NOVICA’s amethyst bracelets collection, which includes varieties of beaded, link, charm, cuff, pendant and wrap styles. 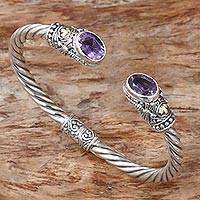 Amethyst and Sterling Silver Link Bracelet from Bali, "Sukawati Wangi"
Thought to have healing powers, amethyst has been cherished and employed by jewelry smiths in unique jewelry designs for thousands of years. 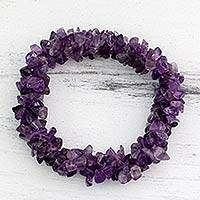 It is said that the stone radiates energy capable of curing any ailment. 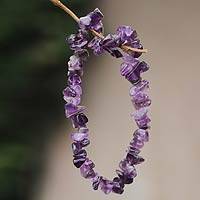 Thai artisan Jantana admires the translucent qualities of amethyst, mixing it with other beautiful stones in her sterling silver amethyst bracelets. 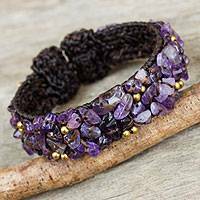 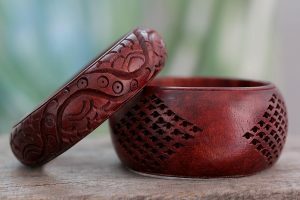 Avid jewelry collector and artisan Neeru Goel is famous for her talent in showcasing the stone’s unique qualities in her gallery of cuffs and amethyst charm bracelets. 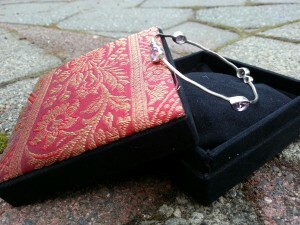 Growing up in India Neeru fell in love with jewelry making and has been creating gorgeous pieces for several years. 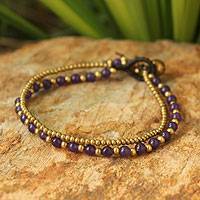 In addition to amethyst bracelets, she also makes beautiful amber earrings and beaded amethyst jewelry sets.